Almennur felags foreldrafundur um integratión verður í Mentanarhúsinum í Fuglafirði, mikukvøldið 20.februar kl.19. Á fundinum luttekur Kalpana Vijayavarathan, ið flutti til Føroya úr India fyri knapt 30 árum síðani. Hon fer at greiða frá sínum egnu upplivingum í Føroyum, við atliti til bæði foreldur, lærarar, tey sum eru nýggj í Føroyum, og tey sum eru fødd og uppvaksin her, og nomið verður við avbjóðingarnar næmingar hava, tá føroyskt ikki er móðurmálið og hvat gerast kann fyri at stuðla teimum. Framløgan hjá Kalpanu, sum verður á enskum, verður tulkað til føroyskt. Á fundinum verða eisini tónleikaframførslur, formansfrágreiðing og drekkamunnur. At the meeting, Kalpana Vijayavarathan, who immigrated to the Faroe Islands almost 30 years ago, will give a presentation. 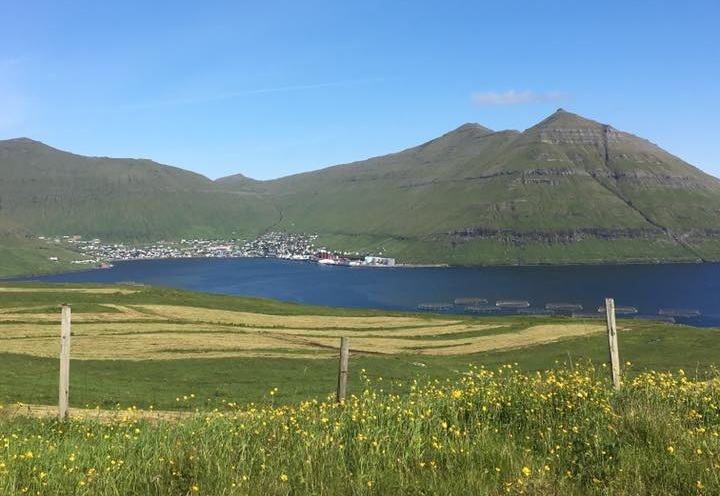 She will share from her own experiences in the Faroe Islands, in relation to parents, teachers, immigrants and those who are born and raised in the Faroe Islands. She will also talk about challenges and how to support students, for whom Faroese is not their first language. Kalpana’s presentation will be given in English and translated to Faroese. In addition to Kalpana’s presentation, there will be musical performances, the annual report from the school board and coffee and cakes.